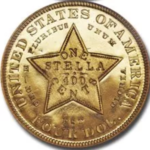 Shrouded in mystery, alternately praised or ignored by the numismatic community, the privately-issued fractional gold coinage of California is one of the most enigmatic areas of American numismatics. 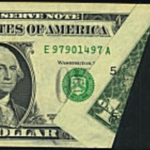 Denominated in dollars, half dollars and quarter dollars, relatively little is known of their role in commerce, if any. The experts disagree on whether these coins actually served as money or were merely sold as curiosities and charms. Whatever their real story, California fractional gold pieces are a delight to collect and have attracted generations of adventurous numismatists. A very extensive series, these coins have been broken down into three general categories on the basis of their assumed date of manufacture. The earliest pieces, known as Period One issues, are believed to have been struck 1852-56, both with and without dates. 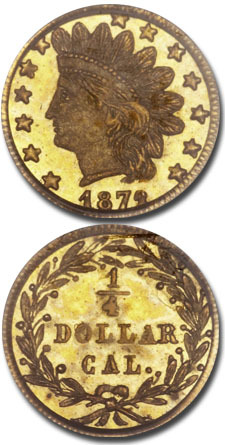 These issues conform closely to the federal coinage in relative weight and value, and many bear the same obverse bust of Liberty as seen on the United States gold dollars of 1849-54. The coins labeled as Period Two issues bear dates from 1859 to 1882. Unlike the earlier coins, these pieces are typically underweight and contain less than their stated face value in gold. In contrast to the majority of Period One pieces, those of Period Two feature a wide variety of design elements and do not closely resemble the regular coinage of the United States. Period Three coins are the most mysterious of all, as they were all backdated by their makers in an effort to avoid prosecution. Though operating on shaky legal ground, the United States Secret Service had launched a crackdown on the manufacture and sale of fractional gold coins, claiming that these pieces violated the federal government’s exclusive right to coin money. The small gold pieces from this era were thus given earlier dates to obscure their actual year of manufacture. Only a small number of issues were produced during this period, which lasted from 1883 until sometime early in the 20th Century, when such items passed from the public’s fancy. The only fractional gold pieces for which evidence exists of actual contemporary use are those of Period One, and these issues are the ones most highly sought by collectors of pioneer gold coins. It must be remembered that the San Francisco branch of the United States Mint didn’t get up to full production until 1856, and before that time commerce was handicapped by a lack of adequate coinage. In the early years of the California Gold Rush, small payments were made in “pinches” of gold dust, a flawed system at best. The government was of little help, as it mandated that the federal assay office established in 1851 could coin nothing smaller than a fifty dollar “ingot.” While this restriction was lifted the following year, the smallest denomination then being coined was the eagle, or ten-dollar piece. Private banking and assaying firms stepped in to supply additional coins from 1849 to 1851, but their lowest issues were valued at five dollars, and the demand for small coins remained. 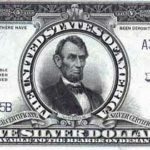 Beginning in 1852, this need was met by a handful of jewelers in San Francisco, who began striking small gold pieces valued at one dollar, one half dollar and one quarter dollar. Though the intrinsic values of these coins fluctuated somewhat, they were usually close enough that the inflated boom economy of California neutralized whatever slight loss may have been suffered by those accepting them in trade. 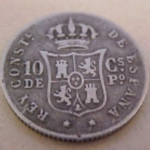 Their advantages simply outweighed their disadvantages, and the coins appear to have gained acceptance, as quite a number survive in worn condition. There is scant documentary evidence of actual circulation, yet these small coins have been found in shipwrecks of the time period, and one was even featured in an 1852 newspaper account from New Orleans: “We were shown this morning a gold half dollar, California money, which is so much like the United States gold dollar piece, that the best judges would be completely deceived at a first glance. 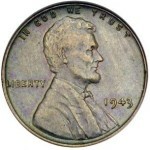 The half dollar piece is lighter in color, and somewhat smaller in diameter, than the dollar. They are of a private issue, and have stamped on them, HALF-DOLLAR CALIFORNIA GOLD 1852.” The lighter color of these coins is the result of their native California bullion, which is rich in silver. Period One gold pieces are found both dated and undated, and some bear the initials or abbreviated names of their manufacturers, most of whom were Frenchmen. Known makers of these pieces include M. Deriberpe and Antoine Louis Nouizillet, both San Francisco jewelers. Partnerships which produced fractional gold coins include those of Deriberpe and Nouizillet (marked D.N. ), Pierre Frontier and Eugene Deviercy (F.D.) and Nouizillet and F. Routhier (N.R.). The manufacture of gold dollars, halves and quarters ceased in 1856, probably as federal silver coins from the new San Francisco Mint took their place. For reasons now uncertain, their production resumed in 1859, these being the first of the Period Two (1859-82) coins. It’s believed that such later issues were produced mostly for sale as charms and souvenirs of the Gold Rush and of San Francisco. By now somewhat civilized, the city of gold had become popular with tourists from the East and from Europe. Period Two coins were often debased, and some were merely gold-plated over silver. Cruder in their engraving and manufacture, and far more exotic in their designs, Period Two gold pieces were collectable from their inception. They are thus more likely than the earlier coins to be found in unworn condition. A fad which developed in the 1860s and ‘70s, however, saw many of these tokens pierced and/or mounted for use as jewelry. Since that was evidently their original purpose, the harm in this practice was not perceived until generations later. The reuse of old dies and the muling of ones not originally used together was common during this period, as the need for protecting against counterfeits no longer existed. Some of the names familiar from the Period One coinage recur with these later issues. Frontier & Deviercy were associated with [Alexandre] Dubois & Co before becoming Frontier & Co. in 1864. Thereafter, the partnership went through various configurations, but the use of common die punches on Period Two coins suggests that they may have struck souvenir pieces as late as 1873. Antoine Nouizillet sold his business to Robert B. Gray & Co. around 1859-60, and the latter produced fractional coins with Nouizillet’s existing dies, as well as his own (marked G). Gray sold his interests to the California Jewelry Co. in 1871. Some of its coins bear letter L, a reference to its Levison Bros. watch division. New entries in the field of gold coin manufacturing included the partnerships of Reuben N. Hershfield and Noah Mitchell of Leavenworth, Kansas (dies marked H), Ernest Henrici and Herman J. Brand, and the Joseph Bros. (Lionel and Josephus). Undocumented and untraceable gold pieces known as mavericks also date from this period. Unlike the earlier gold pieces, those of Period Two were made both inside and outside California. Though there’s no evidence of Period Two gold pieces being mistaken for a legal tender, these coins caught the eye of James J. Brooks, the somewhat overzealous chief of the U. S. Secret Service. He requested that San Francisco Agent Henry Finnegass look into the matter. When Finnegass was able to purchase one each of the quarter and half dollar pieces at face value from a jeweler, he used this as evidence of noncompliance with the Law of June 8, 1864 prohibiting private coinage. Despite pleas from the jewelry manufacturers that these tokens were used only as charms, he launched a crusade of seizure and destruction whenever he could find such pieces for sale. This had the effect of temporarily ending their manufacture and distribution, as well as making some varieties quite rare. Still popular and in demand, fractional gold coins eventually resurfaced, though the practice of coining them was clandestine. The newly-made pieces bore earlier dates (including some not previously used!) and were usually without markings that could tie them to a particular jeweler. Only one maker of Period Three issues has been positively identified: Herman Kroll of New York City. Relatively few varieties exist which can be attributed to this period, and it’s believed that the last such coins were made early in the 20th Century. Known as Period Three coins, they too are quite collectable. When the fad for fractional gold pieces as jewelry items faded after the 1880s, Henry Kroll sold his remaining stock to collector A. C. Nygren, whose estate was auctioned by Philadelphia dealer Henry Chapman in 1924. Some of Kroll’s dies resurfaced decades later, and a new generation of minters put them to work once again. This only confused the attribution of vintage pieces all the more, though the later restrikes made for collectors are known to be of finer gold than the original edition, which was intended purely for the jewelry trade. Also muddying the waters somewhat are outright fabrications produced as souvenirs of the Old West and the pioneer days. Still sold today, these are easily detectable by anyone who can distinguish between gold and brass.